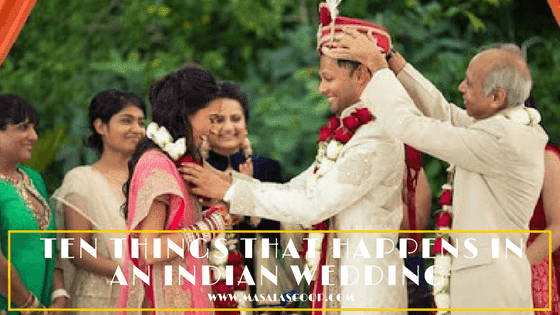 Here are some stupid things that usually happens in an Indian Wedding. Someone really said right (Shaadi Ka Laddoo Jo Na Khaaye Woh Pachtaye Jo Khaaye Woh Bhi Pachtaye). When You Don't How To Dance And Your Friends Force You. When Bride And Groom See Each Other For The Very First Time. Hey Baghwaan! Tera Shukriya. When Aunties In Wedding Force You To Dance As They Are Judges Of Dance India Dance. 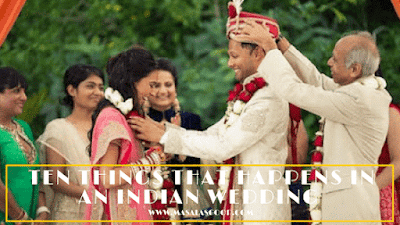 Stupid Things You Do In Wedding When You Are Incredibly High. (Shaadi Mein Bhang Ka Asar). When Aunties At Wedding Performance Typical Roti Dance. When Your Relatives Start Saying Bad Things About Groom/Bride At Wedding Day. Univited Guest (Bin Bulaye Baraati). When Your Parents Tells You How To Welcome Your Guest. (Namastey Karo Beta).